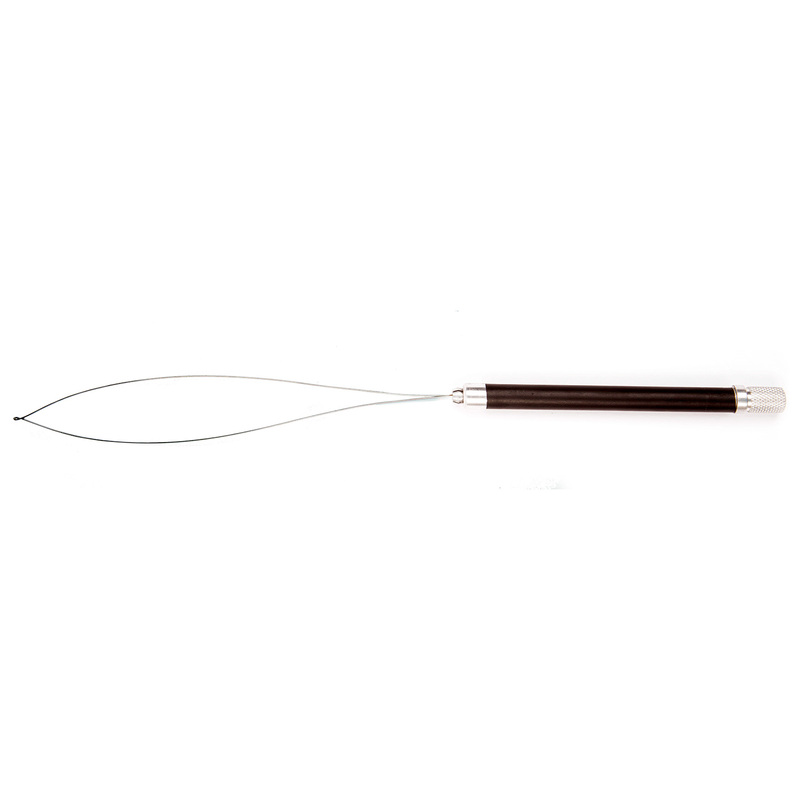 The Academy PRO Hair Loop Tool is used to apply I-Link hair extensions. It's durable and guaranteed to last. The Loop Tool makes applying beads easy and painless, threading the whole strand through the bead without flyaways or strays. It can hold 20 beads at once, speeding up the installation process and saving you time. Slide the beads onto the Loop Tool, stacking them starting from the base and working up. Take a section of hair and put it all the way through the loop. Move the bead up the loop and onto the hair. Once it's in place, use the Hair Extension Tool to crimp the bead.